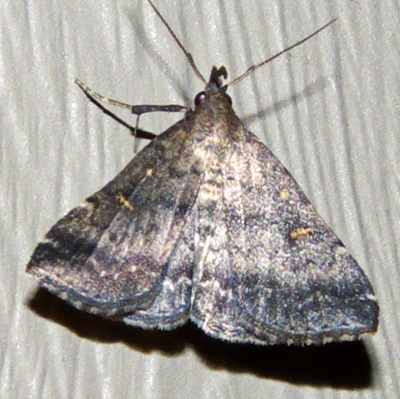 The knots on the antennae of male Renia species are more pronounced and located farther up the antennae toward the tip. The knots on these antennae are a perfect match for a male Tetanolita though. I would call this a smoky Tetanolita.